There is a high level of concern for both functional and non-functional testing validation for these web services, from what can go wrong in the request and response messages to how well the web services interact, since they were developed independently. A web API may be called by multiple different API’s; how do you know if all of these messages are built properly? Knowing that your web services work as expected is essential, and that’s where the need to test comes in. ACUDAY specializes in Testing of Web Services – REST and SOAP. 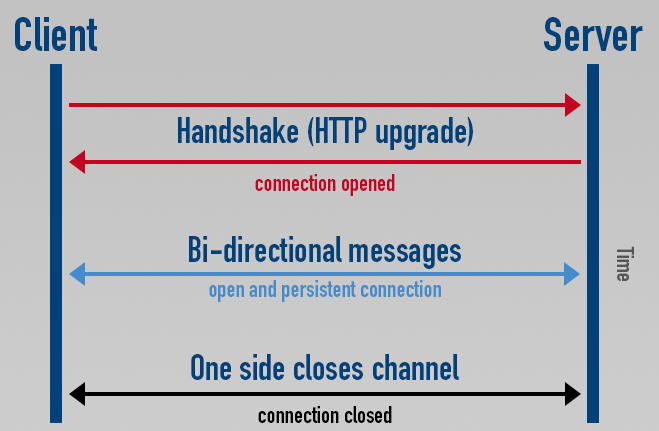 WebSocket is a protocol which provides full-duplex bi-directional communication over a single TCP connection using default HTTP and HTTPS ports. Using JMeter : The JMeter WebSocket extension uses Jetty client libraries and also we have a Java API for WebSocket.